I’ve been drinking a LOT of IPAs lately and I’m just now beginning to notice something everyone else already knew: They pretty much all taste the same. I know, I know, this is something most beer drinkers knew since they were like 12 years old, but I’m just now figuring it out. 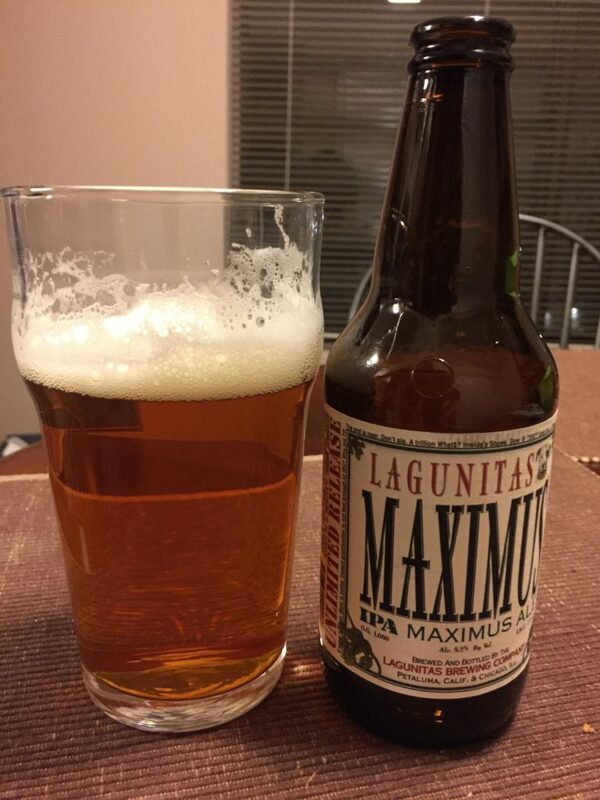 When I first tasted Maximus from Lagunitas Brewing Company, I wondered: Is this a triple? At the very least, a double, right? Nope. It’s just a regular IPA, but STRONG, like Lagunitas put a triple shot of punch-in-the-face in it instead of whatever makes something a double or triple (more hops and barely, yeast, flumus, and dickfores, I think). Or maybe it’s just the 8.2% alc talking to me. Though it still tastes the same as other IPAs, this one stood out. Also: There’s a limerick on the bottle.